Access is available from 6 a.m. - 9 p.m., 24 Hours A Day, 365 Days Per Year. 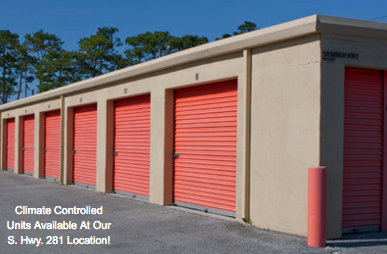 At Half Price Storage we offer storage solutions that are conveniently located, secure, easy to access and affordable. We have a fantastic move-in special offering HALF OFF FOR YOUR FIRST 3 MONTHS as well as a FREE LOCK and a SURPRISE GIFT. You will not find any legitimate competitor in this area who's better than us...call today to find out more! Visit www.ahalfpricestorage.com for driving directions to each of our Mineral Wells locations.